4WARD4X4 the Land Rover Defender Specialist from South Baden offers all services from one source. The range of services as an independent Defender specialist is oriented around the circumference on Land Rover vehicles such as i. a. expeditions and long-distance travel vehicles, military vehicles and work vehicles. Many Land Rover owners and manufacturers rely on the expertise of 4WARD4X4. As experts in Land Rover, the 4WARD4X4 employees constantly deal with these vehicles. All training materials are available to us by the manufacturer. 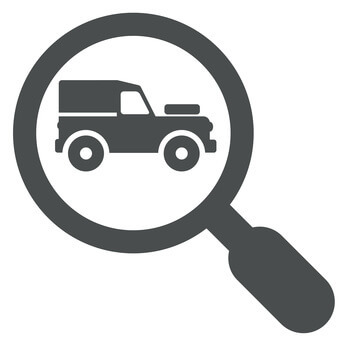 Whether your Land Rover Series I is a vehicle or a Range Rover Sport model, it is in safe keeping with us. For questions, please contact us at any time. Land Rover Defender underrun protection – vehicle protection equipment in the field, the A & O is to increase the durability in the terrain. An underrun protection at Land Rover Defender is therefore an important protection. Land Rover Defender rope winch push rod – There are many things to consider when designing a rope winch push rod. We have succeeded in combining the design with better terrain. Rock & Treeslider for Land Rover Defender – Our Rock & Treesliders are indispensable to protect the body from below or from the side. Safetey Devices External cage – As the only dealer we can offer the SafetyDevice outer cage with a valid part certificate.